Tiny Corners / jamie olson photography // First day / last day. Happy Graduation Day, my Willy! Yay!!!! Congratulations! Awesome side-by-side. Thanks for sharing. Thanks, Bell! He was sooooo excited yesterday and told anyone with ears, "I graduated!" He was still talking about it today! 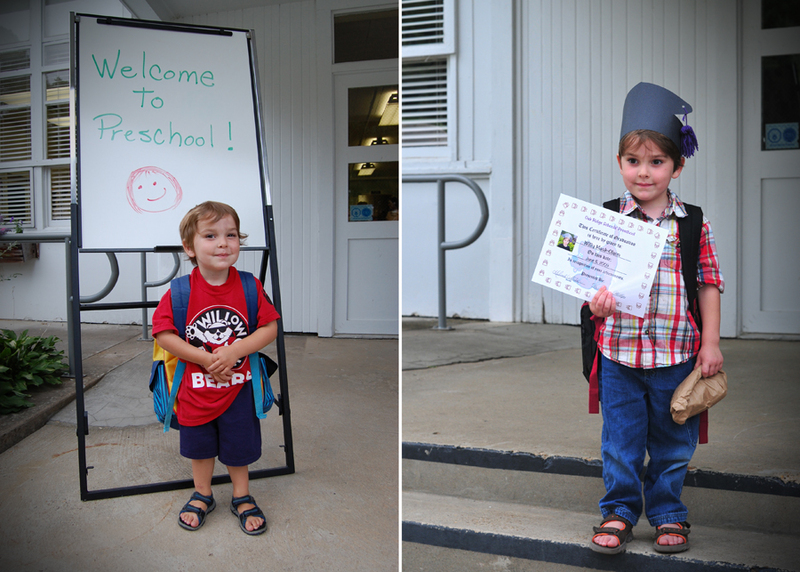 Hard to believe another Mauk-Olson has gone through the Oak Ridge Preschool.